This guide will help you setup your hosts to run OpenNOP and give some guidance on how to implement it into your network. Network traffic traveling between your LAN and WAN must be routed through OpenNOP to be accelerated. You have several ways you can accomplish this. You can use the OpenNOP hosts as the routers for your LAN. This is an “in-line” configuration as the host functions as the gateway for the rest of your LAN. This is easier if your already using a Linux host as a router. 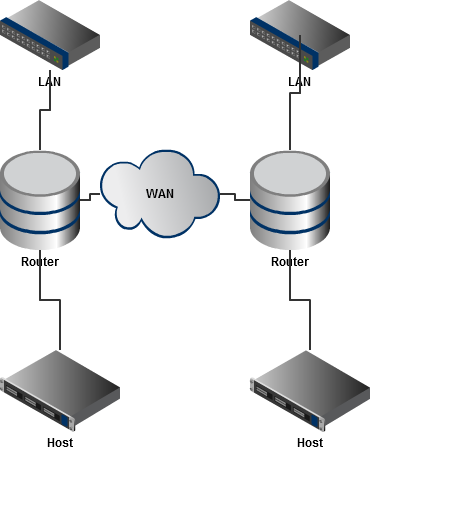 You may also choose to use Policy Based Routing on any router that supports it to redirect traffic traveling between your LAN and WAN to route the traffic through your host on a separate network interface. 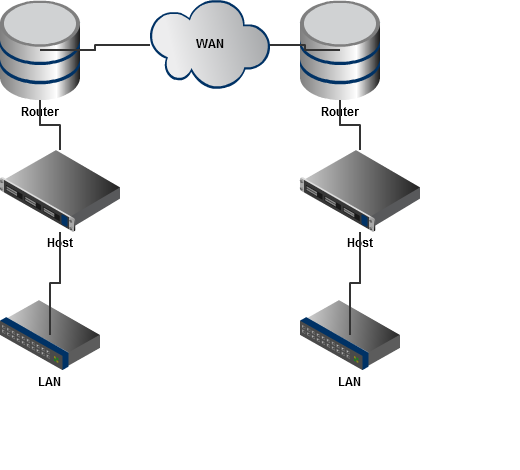 This is an “out-of-line” configuration because the host does not act as a gateway for the LAN. This option has some advantages because most routers that are capable of Policy Based Routing can also monitor the host and stop routing traffic to the host should it stop responding. This allows network traffic to continue to flow even if the host were shutoff, crash or otherwise become unresponsive. How you configure Policy Based Routing will depend on your particular hardware. You should be able to find guides how to accomplish this at your routers manufacurer site. You need a host to run OpenNOP at each site in your WAN. Any linux distribution should work but all development, testing and examples will be using the openSuse based pre-packaged appliance image. The recommended method is to use the pre-built package for your distro on the Linux OBS site located here. If your trying to install from source you also need these. This is by far the easiest option. Just download the appliance image and install it. For OpenNOP to process and compress traffic the host must be able to route traffic so lets enable routing on your hosts. You also have to allow traffic through the host. This means turning off the firewall or entering appropriate iptable rules. I dont know what those routes might be for your network so to keep it simple just disable it for now. It will be up to you to determine how your rules will need setup if you want to turn it back on. First we need to setup and start the kernel module. Next start the opennop daemon.